Supero Healthcare Solutions is a leading practice management company, delivering provider enrollment and credentialing services, managed care contract negotiations, and medical licensing services. We work with all providers including physicians, hospitals, ASCs, sleep labs, diagnostic testing facilities and providers, rehabilitation (PT, OT, SLP, DC) providers, podiatrists, optometrists, dentists, and more. Our team is focused on integrity, commitment, confidentiality and industry knowledge. In a nut-shell, we provide high quality, flexible healthcare consultancy. Let our experts take away the headache of filling out all the paperwork and cutting through all the red tape for you. We get you enrolled and credentialed with all of the insurance companies and we get it done right! We take your information and get to work immediately and don't stop until it is done and you are 100% satisfied. Enrolling with Medicare is one of the most difficult challenges that healthcare providers face today! We do it all for you from start to finish. We complete 855B, 855I, 855R, 855S, 855O, 588, and 460 CMS forms. 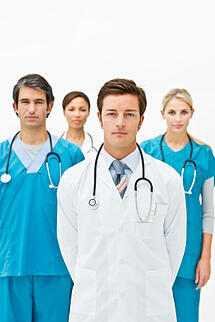 We assist with Medicare Revalidation as well!